The needle was cruelly and finally ripped from the groove when vinyl was officially declared dead on May 11 1991, 90 years after the first record was pressed (a ten-inch, as it happens, to make it more collectable presumably). That was the view of a story in The Economist, at any rate, entitled “End of Track” and inspired by London's Tower Records pulling wax from its shelves. Given that this was eight years before Napster and 12 years before the iTunes Store arrived, any commentator could arguably feel smug about their prescience to bang the final nails into analogue audio's coffin, yet 23 years on, records are back in vogue. Vinyl sales have grown every year since 2006. In the UK alone, revenues from record sales have spiralled from £1m to £12m in that period. What's more, in the last 12 months alone, sales have doubled, thanks in no small part to Record Store Day, a global annual event that promotes independent stores. However, despite the further passing of time and music now being accessible on demand, instantly, and frequently at no cost, these fragile, non-portable, often expensive black discs are coming back. To understand why, we must delve deeper into the cult of vinyl. The record resurrection commenced around the time the decline in the power of artistic copyright became terminal. With illegal downloads having already decimated music-biz profits, the rise of iTunes, Amazon MP3 et al redressed the fiscal balance but reduced sales of physical formats even further – meanwhile Kindle, Netflix and their rivals did the same for books and DVDs. Yet even as the physical form was systematically demolished and record shops closed down in droves, the original music format started to respawn. It wasn't just due to nostalgia-driven older customers, either. According to an ICM poll in April 2013, it's the younger audience that is fuelling this current vinyl revival. In fact, eighteen- to 24-year-olds actually buy more records than 25- to 50-year-olds, despite being the first adult demographic to be raised predominately in the digital age. Remarkably, 27 per cent of them don't actually own a turntable. Clearly, these kids crave something more than just the music; it's the format itself. That's what makes this different to the last “revivyl” – the UK dance music explosion, based almost entirely around 12-inch singles, which kicked off about 15 minutes after The Economist's epitaph appeared. For the digital generation – or“millennials”, as marketers would have it – to return to a forgotten format shows something's lacking in digital music. That tangible quality is present not just within the grooves of a record but in the very essence of the format, from its packaging to its history. 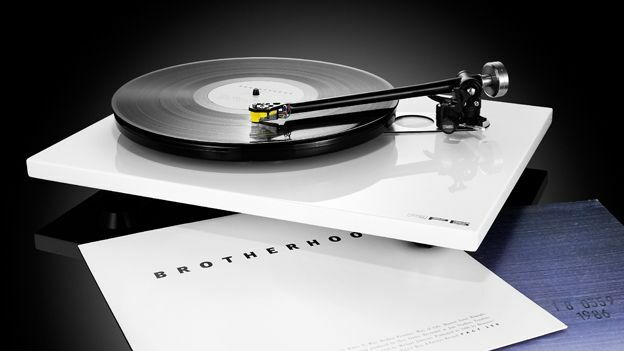 There are all sorts of subjective benefits touted by vinyl fans. Some, such as playback being “warmer” than CD or digital, do not necessarily always stand up to objective inspection. However, Simon Arblaster, music production expert at Future Music magazine, believes that it's the emotion that's part and parcel of owning a record, as opposed to having a load of MP3 files on a hard drive,that creates that distinctive sound. “Vinyl at its best sounds better than digital, that's a fact,” he explains. “However, even the most glorious analogue recordings can sound poor on your less than glorious hi-fi, and the crumbly, crackly, ever-decreasing quality of vinyl means it can be outdone by more resilient digital equivalents. Vinyl's imperfections, ironically, give it an authenticity and integrity that digital lacks. Subtle analogue distortions and mechanical clicks add colour to music that can feel sterile and compressed in digital format. It's that “imperfect” aural richness, as well as the history and heft of vinyl, and the visual element of its cover art, that's been stolen from music fans in the digital age. Similarly, beautifully crafted turntables from the likes of Rega, Pro-ject and Linn – or Vestax and Stanton if you're a DJ – have a more timeless, emotional feel than a phone or hard drive. Linn's LP12 hasn't changed in 30 years; the design of the Technics SL1200 DJ deck barely changed from its birth in 1972 to its discontinuation in 2010, living on in nightclubs and bedrooms the world over. We won't overstate the financial magnitude of vinyl's resurgence. Of the 142 million albums sold in 2013, just two per cent shipped on the format. Rather, the importance of the comeback is this: it shows a hunger for what's slipped down the back of the sofa as we've sat and gorged on digital music. That's why records, declared dead in 1991, are alive and warmly crackling in 2014.